The 919 Series Ultra-logic changeover manifold is an advanced version of the AUTO-LOGIC II. It provides the user with simple, intuitive operation via a color touch screen – no buttons to push and no knobs to turn. Like its forerunner, the AUTO-LOGIC II, users can switch from high pressure cylinders on both sides to low pressure cryogenic containers on one side and high pressure cylinders on the other side, or cryogenic containers on both sides with just a few screen touches. Once you have set the operating parameters, you need only change cylinders as necessary. The system takes care of everything else. There is no need to make pressure adjustments or flip a knob after the system has switched from one side to the other. Just replace the empty cylinders and open the valves. The system is now set to change in the opposite direction. These systems are truly automatic and hassle free. 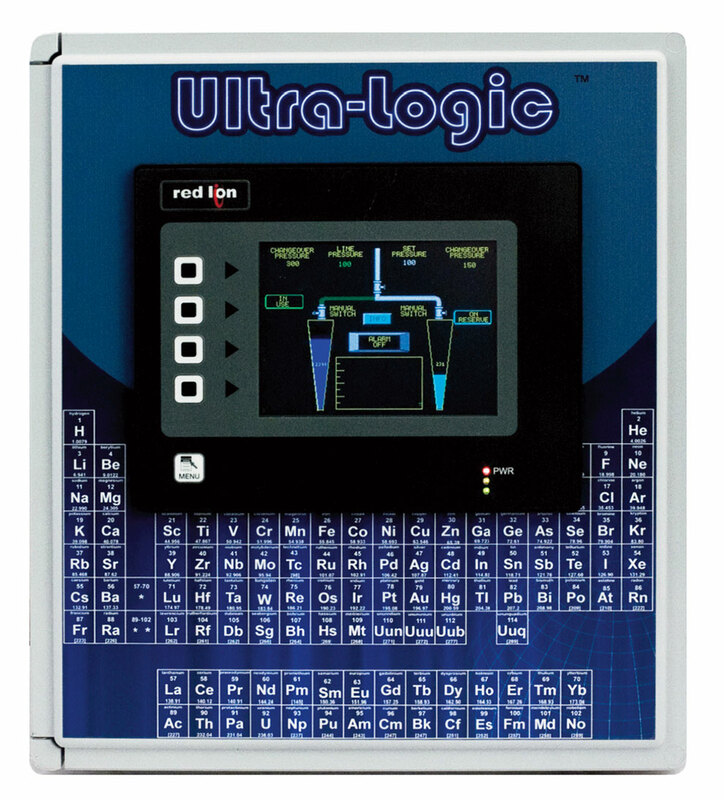 The additional Ultra-logic capabilities provide customers with the best changeover system to suit their current operation and future expanded requirements without having to buy another system. The 919TS is available constructed with brass or stainless steel high purity gas components. It has digital pressure readouts for inlet pressures and outlet delivery pressure, built-in alarms, and dry contacts to operate external equipment, such as remote alarms or an auto-dialer. Entire system is housed in a NEMA 4X enclosure. Fully automatic, simple, hassle free operation via a large color touch screen. Can be controlled via network. Provides full data logging capability for all functions to aid in 21CFR11 compliance. Operating parameters are password protected for multiple users. Constant digital and graphic gas supplies for both sides. Delivery pressure monitor displays any unusual variances. High and low adjustable delivery pressure alarm settings. Designed for high purity gas service. May be used with any type gas source. “Leak-Check monitoring alerts the user to low reserve side pressure of either high pressure or cryogenic containers while in standby via audible and visual alarms. “Gas-Check” feature ensures efficient use of gas supplies when cryogenic containers are in service. Built-in audio and visual alarm. External dry contacts provided to activate optional equipment or remote alarms. System housed in a NEMA 4X enclosure. Available in either brass or stainless steel construction. * When unit is ordered with accompaning pigtails the inlet connections will be the mating CGA connection of the pigtail.